Grown up vegetarian: consequences for gut bacteria ? I was raised vegetarian. The only source of animal products was a glass of milk with breakfast, and incidentally a cooked egg or a bowl of yogurt. Could this cause my gut bacteria to have problems with the digestion of meat? I too was raised vegan and I suffer from Crohn's and UC. I noticed that I kept running into people who were also vegetarian or vegan and had digestive issues. I asked my Dr, my naturopath and my nutritionist what their take on it was. All three took me seriously and did some research. All three came up with the same answer. There is an amino protein that you can only get from meat that helps you rebuild your digestive tract - it is called L-Glutamine. Many people with digestive issues who are also vegetarian/vegan severely lack L-Glutamine. I haven't been vegan since I first started getting sick. The Paleo diet literally saved my life - I would have been in surgery after surgery, sickness after sickness. If you are having trouble digesting meat try this. 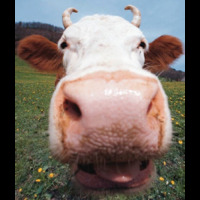 First make sure that everything you are eating is organic, free range, grass fed (a no brainer for a former vegetarian). Then try taking an L-Glutamine supplement - this worked wonders for my entire health. Your gut bacteria have nothing to do with meat digestion. Meat is long gone by the time it hits your colon (where microbial action occurs).